I just love this "mid century modern" dresser. 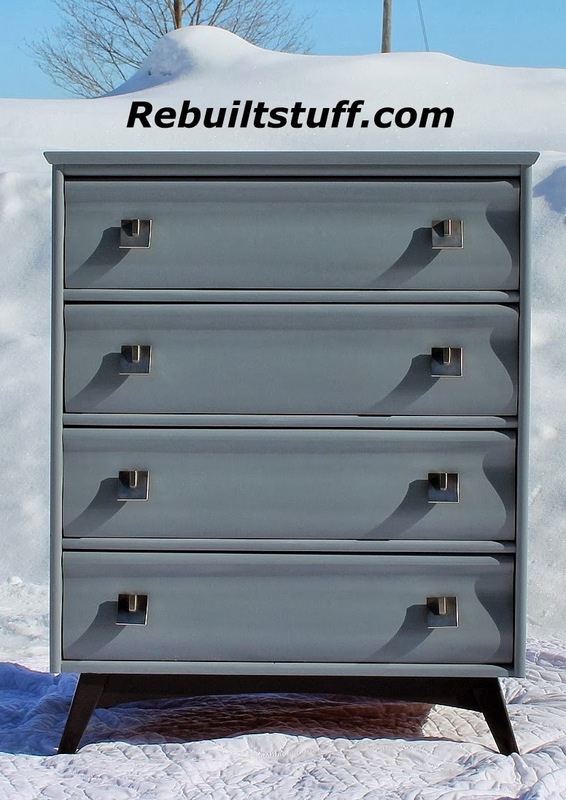 This is a quality built Knechtel dresser made in Hanover Ontario. The cabinet is all wood, no particle board to be found. 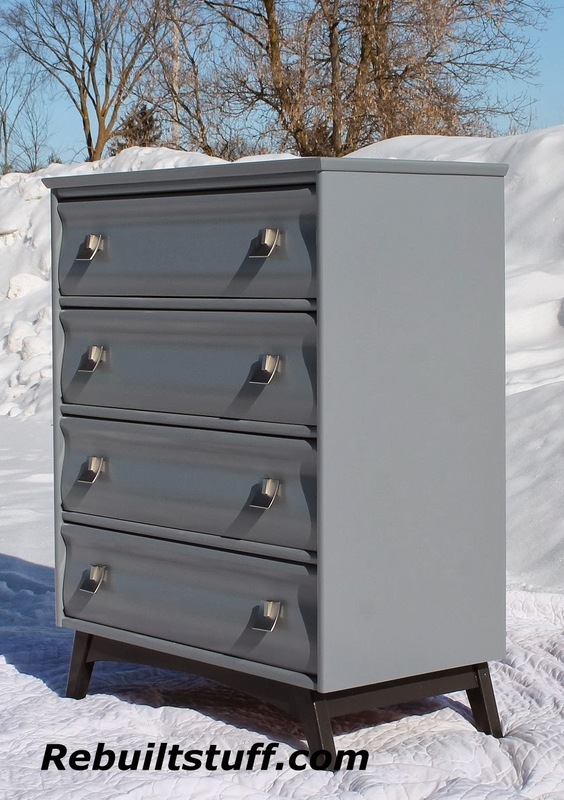 The drawer fronts are curved adding contrast to the straight lines of the body. I painted the legs black to add interest. The hardware echoes the curved shape of the drawers and straight lines of the frame. 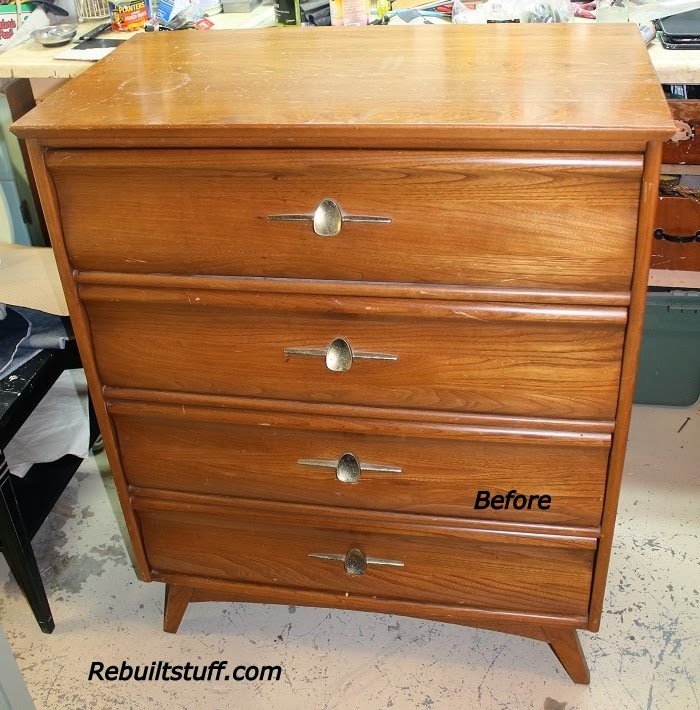 This is a beautiful, timeless dresser.